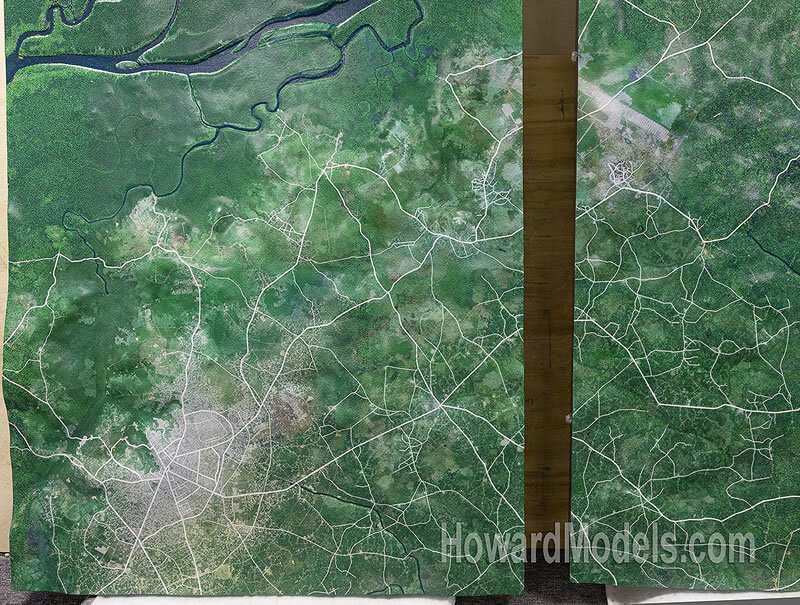 Relief Model with aerial/satellite imagery printed on surface. Multiple interlocking panels make shipping this model easy. This Akwa Ibom, Nigeria relief model was fabricated as 10 interlocking panels. The models molded fiberglass panels are reinforced with fiberglass supports (joists) every 24". The completed model is 4 meters x 5 meters. The aerial / satellite photography was a particular challenge on this model because there was no cloud free imagery of the coastal area. By combining multiple images and photoshop work, we were able to create a continuous cloud free surface. 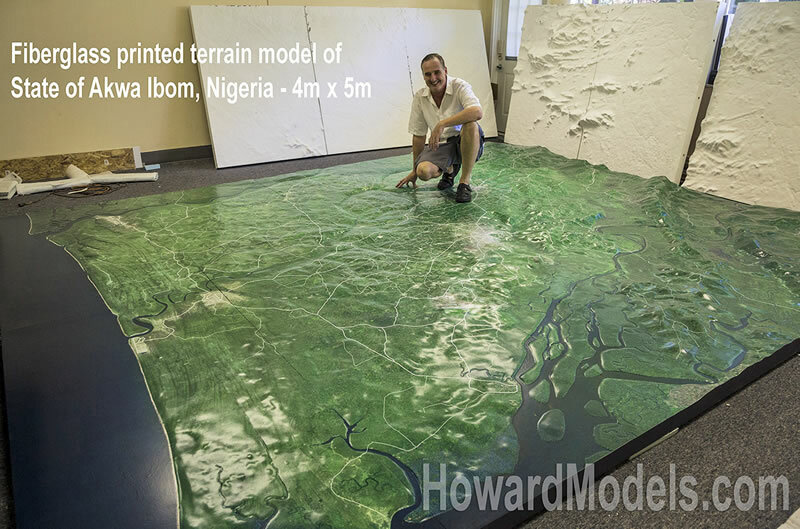 In the background of the first image, the in-production Cross River State, Nigeria fiberglass solid terrain model can be seen. Most of our relief models are ready to ship in 2-3 weeks. For a large one like this - out of fiberglass, plan on 6-8 weeks production time.